Type FACIA. Features • Holden Double DIN Facia Kit. • A high quality finished designed to match the vehicle dashboard. 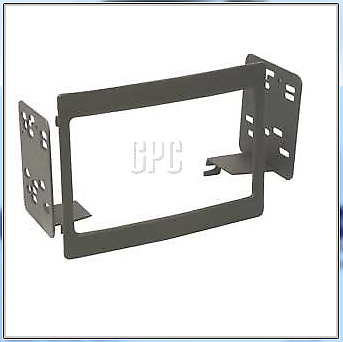 • The grade of ABS plastic used ensures long life of the kit. • Suits: Holden Commodore (VY) 2002 - 2004, Commodore (VZ) 2004 - 2007, Monaro 2003 - 2005, Statesman (WK/WL) 2003 - 2006. Was really amazed at how well it fits and looks. Looks like it was a standard factory fitted item. Clicks into place really well also. Have to fit the brackets in exactly the right place though to ensure the plastic facia fits on square.